I say all this to point out I am not immune to making a bad meal. (Or even just an okay one.) It happens to the best of us. And, I personally think really good cooks do improve on their dishes. 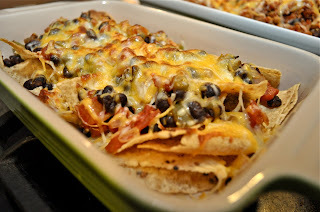 That being said, I have shared a nacho recipe in the past with you all, but I think this one is even better. Start by putting your oven on a low broil. Then in one skillet heat up 1lb of turkey with a bit of oil. Add in one small can of diced tomatoes that you drain and puree first. In another skillet add more olive oil with some red onions. Once they are translucent add in half of a green bell pepper. Cook til soft, then add in 3/4 can of drained black beans and one can of drained diced red tomatoes. 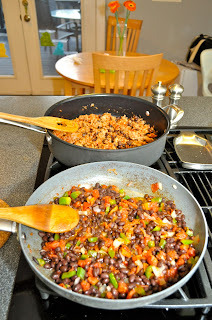 Add the remaining black beans to the skillet with the turkey. Then take one package of taco seasoning and split it between the two skillets. Mix thoroughly. Take out two oven safe dishes. Line with white corn chips. Top with the mixtures. Cover in a mix of mexican shredded cheeses. Broil until the cheese is bubbly. Once ready you can top with fresh goodies like sour cream, avocado, and chopped cilantro. 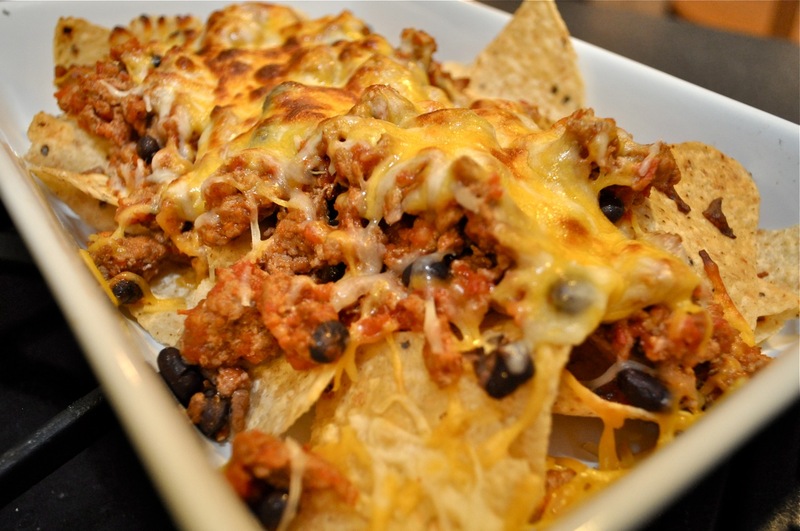 Not only are these nachos better than the ones I've made in the past, they are healthier too. How's that for improvement?